Pool lights add a dramatic dimension to your pool and the surrounding outdoor area. 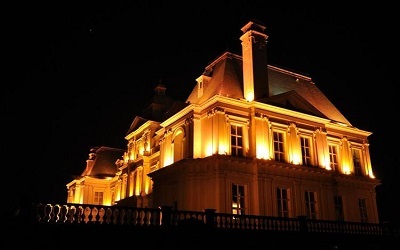 By lighting up the pool and generating a glow about the water, swimming pool lighting creates a distinct ambiance that is great even if you don’t plan on swimming at night. Whether you’re looking for in-ground pool lights or above ground pool lights, In The Swim has a great selection of swimming pool lights. LED pool lights are now the standard, offering more brightness while using just a fraction of the energy compared to an incandescent bulb. LED pool lights also last much longer, saving you the time and hassle of replacing pool light bulbs that are hard to reach. Above ground pool lights are not usually installed when the pool is built, but there are many pool lights designed for above ground pools, thanks to the ability to use the outside pool wall for easy-to-install lights like this Intex pool light that can be placed anywhere you want on the pool wall, with magnets. 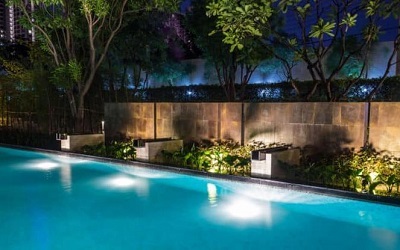 Above ground pools also use over-the-wall pool lights like the Nitelighter and wall return jet lights like the StarWhite, available at reasonable prices. The 100W Nitelighter and the StarWhite above ground pool lights are our brightest underwater light for above ground pools. Floating pool lights offer drop-in installation, rechargeable batteries and solar-powered pool lighting. 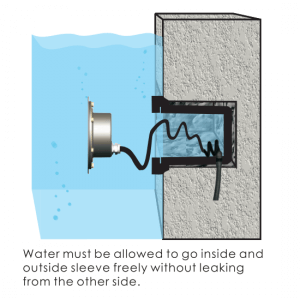 In-ground pool lights are designed to be installed beneath the water line, set into a bucket called a light niche. 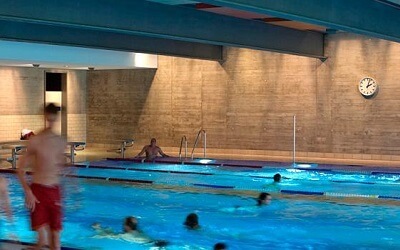 Swimming pool lighting is made easy with help from Hayward and Pentair. Hayward replacement lights fit into Hayward pool niches along with niches from other brands like American Products, Pac-Fab and Purex. The Pentair LED color bulb kit is a great way to convert your flood bulb lamp into a more efficient LED pool light with five different colors. 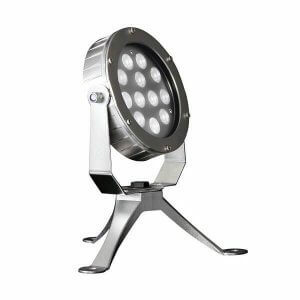 In The Swim LED pool lights include the Hayward Universal ColorLogic LED pool light for brilliant color, or the Pentair IntelliBrite 5G LED white pool light, one of the brightest and longest lasting swimming pool lights.